Burp Cloth with a name and design. 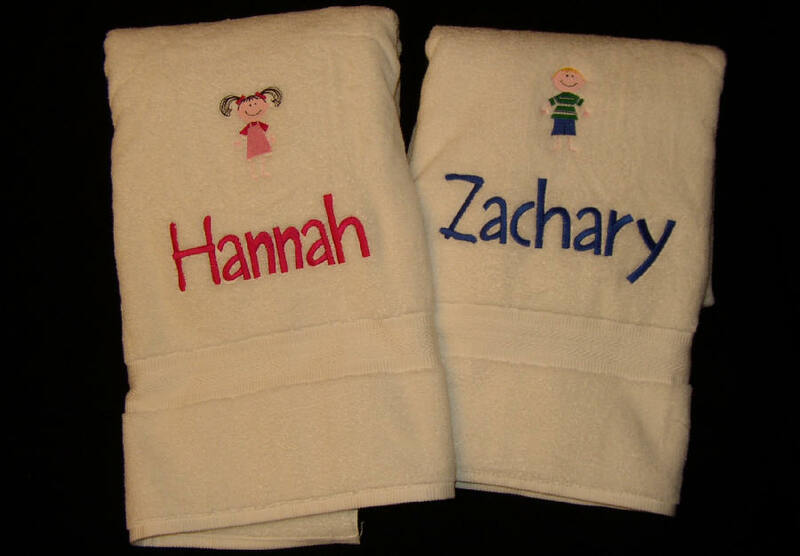 White Bath Towel with a name and a design. 11 x 17 in. 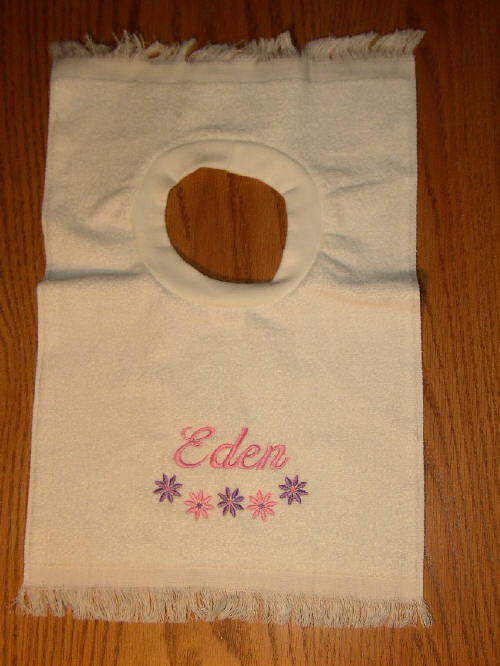 Terry cloth bib with a name and your choice of design. Assortment of Fleece and Acrylic Crib blankets. Add a name, birthdate, and/or design. Please call for pricing. T-Shirt with Child's name and design. 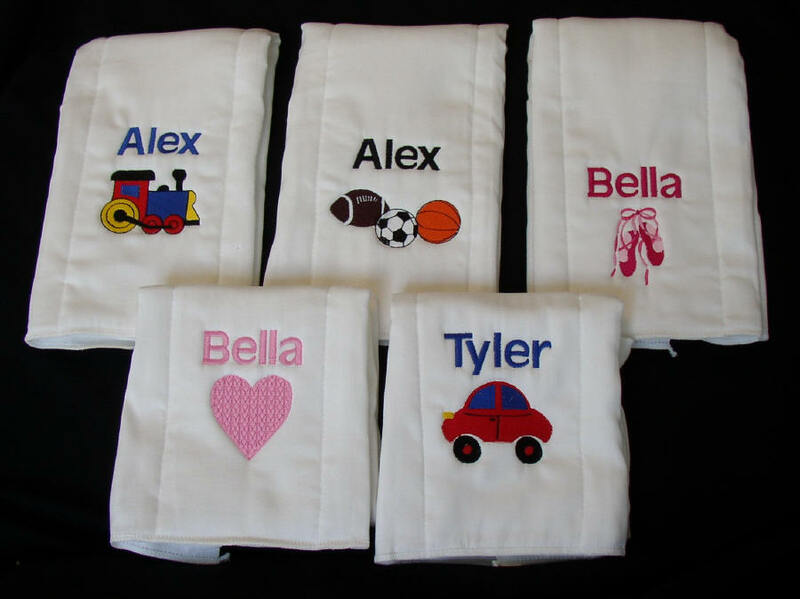 These personalized Mini-Backpacks are made of durable nylon. 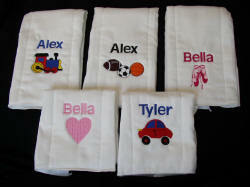 Measuring 11 1/2" x 8" x 4" they are perfect for a trip to Grandma's or Preschool. They are avalible in Red/Blue/Gold or Pink/Purple/Mint Green.